Are you looking for door installation Randle Highlands, Washington DC companies? Simply, contact King Door and Lock Maryland and DC! You’ll certainly be impressed with our comprehensive range of door installation and repair solutions for homes and business. Do you wish to remove your old entry door? Does your current garage door only open midway? If you happen to own a business, are the entrance doors for your building conveying the wanted impression and do they still contain the functionality that you want? No matter what sort of door you require, King Door and Lock offers 24/7/365 Randle Highlands solutions. If your commercial building needs garage door repair or replacement, then we are your trained and experienced experts for commercial garage door repair and installation. Make use of our complete door solutions to ensure that our business can help your company to thrive. Our quick and helpful specialists will get to your office quickly to tell you precisely what your replacement or repair will cost you. We will then handle the work correctly and courteously to help you focus on your own business. Redesigning your home in the Randle Highlands region and putting in a garage? Let King Door and Lock Maryland and DC work on your garage door installation. It is necessary that a garage door be managed by experts. Your garage is the ‘home’ for your vehicle and assorted additional possessions that many of us store in there: lawnmowers, leaf blowers, bicycles, and so forth. It is important that your garage doors continue to be secure and functional. You want the job done correctly by our highly skilled specialists with their advanced equipment and tools that allow them to work on any job of this nature. If you already have a garage door ,however it just isn’t functional, phone King Door and Lock for quality garage door repair in MD and DC. For the same explanations presented above, you want to make certain that garage door repair is carried out correctly the very first time to secure the possessions you store in there. Our experienced technicians will have a look at your garage door and let you know if it requires to be replaced or if it can just be repaired. We’ll let you know what it will cost up front so there will be no surprises when you get the bill. The team at King Door and Lock do a great job at replacing and repairing many residential doors. Are you interested in a completely new screen door? If so, call our staff to discover precisely what screen door solutions you will require. We provide you with transparent costs to ensure no surprise charges. Front doors display the individuality of your house and also reveal an idea of the people that live there. An entry door replacement with King Door and Lock gives off professionalism, craftsmanship, and quality to any person who walks through it. Our company is honest in relation to our front door installation and repair rates. You can have certainty in the work that we do when installing any of your doors. In combination with repairing entrance doors, we are able to also deal with back doors or patio doors. Based on the state of the sliding glass door or patio door, we can either repair it or change it out altogether. King Door and Lock is known for supplying the leading door installation Randle Highlands, Washington DC service. 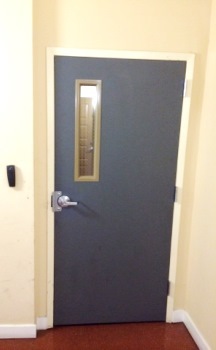 Industrial door replacement and repair differs from non-commercial door installation and repair. Our professionals are skilled in both of these services. Commercial doors have to be made of industrial craftsmanship to handle their recurrent use on a daily basis. These particular doors will almost certainly possess far more advanced incorporated locking mechanisms compared to the ordinary door knob with a key hole found in the majority of households. You are going to appreciate our highly trained technicians working on your storefront door. We also know, as a business ourselves, that you are constantly keeping an eye on your bottom line. King Door and Lock Maryland and DC believes that you’ll not get a better value for door replacement or door repair when compared with what our company delivers. If you find a cheaper business to do the job, then they will be lower in craftsmanship as well. To make it easier for you, King Door and Lock uses transparent rates to make certain that there will be no hidden fees. The workers at King Door and Lock Maryland and DC are your door professionals. 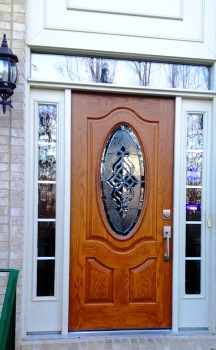 For door installation Randle Highlands, DC service, give us a call. We deliver full door services: door repair, door replacement, door installation. Our 24 hour door services covers household doors, commercial doors, and garage doors. As well as exterior door repair, installation, or replacement we can also fix or replace interior doors in a residence or commercial building. Interior doors our company specializes in replacing and repairing consist of bedroom doors, pocket doors, and closet doors. Our professionals will first examine precisely what is required to be carried out. Perhaps you will not need a completely new door. It could be a matter of a door jamb repair or even a door hinge repair. In the event the door frame is worn out, then maybe a door frame repair is all that might be required. Our professionals will isolate the situation, determine what in fact needs to be completed, and after that, provide you with up-front rates so you have the knowledge you will need to make an informed decision. If you’re in Randle Highlands as well as the vicinity, call us right now. We’re here for you 24/7! Our Door Installation Randle Highlands, DC Services https://kingdoorandlock.com/dc-door-installation/randle-highlands/ 3.9/5 based upon 13 reviews.